Launch price for FZ V3 is Rs 95k, and that of FZS V3 is Rs 97k, ex-sh. The 2019 Yamaha FZS V3 ABS receives a new LED headlamp with LED DRLs, larger fuel tank extensions with twin air intake scoops on either side. Turn indicators are now positioned above the headlamp along with a new front mudguard design. Distinctive body lines enhance its appeal along with new dual tone color schemes with matte and glossy textures. No changes have been seen at the rear, which carries forward similar elements sported on its current counterpart. 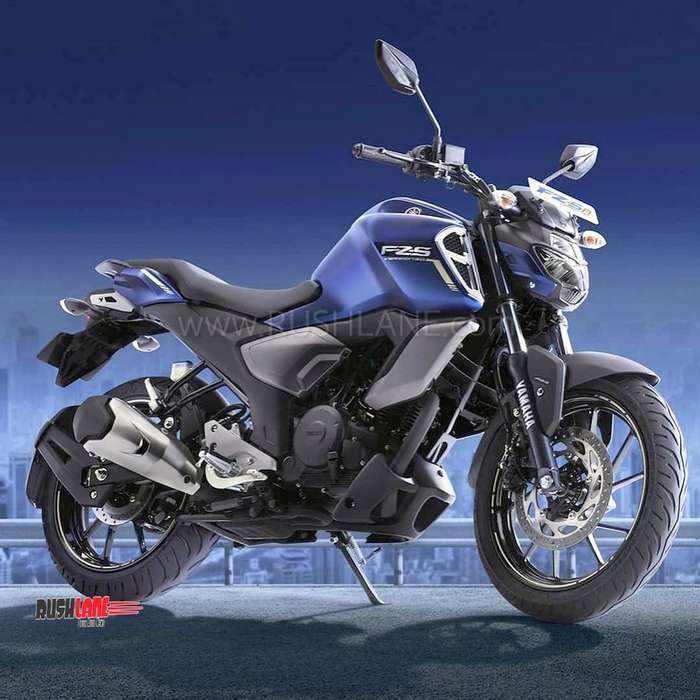 2019 Yamaha FZ and FZS V3 ABS is powered by the same 149cc, fuel injected engine. This engine offers 13 bhp power at 8,000 rpm and 12.8 Nm torque at 6,000 rpm mated to a 5 speed gearbox. Fuel efficiency is pegged at 45 kmpl in city limits going up to 55 kmpl on the highway. The bike gets telescopic fork in the front and monoshock at the rear and sits on 17” alloy wheels fitted with100/80-17 front and 140/60-17 rear tubeless tires. Fuel tank capacity is at 12 liters. ABS is a single channel unit, developed by Bosch. Watch the new TVC video below. The new Yamaha FZS ABS is priced about Rs 9k higher than the older non-ABS variant. Thanks to this update, it will now be able to compete with rivals on a level footing. Rivals include Suzuki Gixxer, Honda CB Hornet 160R, Bajaj Pulsar NS160 and the Hero Xtreme Sports. Apart from the FZ and FZS V3, Yamaha has also launched dual ABS variants of the R15 V3, Fazer 25 and the FZ25. Prices are Rs 1.39 lakhs, Rs 1.43 lakhs and Rs 1.33 lakhs respectively. Plans are on to also update all the 125cc+ motorcycles with ABS soon. This update will bring with it a price hike ranging from Rs.5,000-Rs.12,000; depending on model.